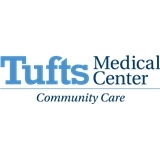 Tufts MC Community Care-Reading Primary Care (Reading) - Book Appointment Online! Excellent. Dr. Wang was very pragmatic and to the point for my concern: a well-woman checkup and physical exam. Kelley was the most thorough NP I have ever had. Impeccable bedside manner, professional but relatable. She addressed every question I had with research-based opinions and recommendations.